For its moderate climate Solan is an ideal tourist destination with picturesque vistas of the Himalayan foothills and a town replete with colonial heritage that is bustling with activities. Located between Chandigarh and Shimla, on the Chandigarh-Kalka-Shimla highway, the town draws its name from goddess Shoolini Devi, the presiding deity in whose honour a three day fair is held in June. Before the British colonists turned it into a cantonment in the early part of the 19th century, Solan had served as a capital for Baghat, a princely state. It was after driving out occupying Gurkha forces in 1815, who had expanded their dominion from Nepal upto the bank of River Sutlej that British cantonments came to be established at Dagshai, Kasauli, Jutogh and Solan. Remnants of the old forts are scattered around Solan. The growing town today serves as a district headquarter and provides easy access to the nearby getaway places of Kasauli, Dagshai, Nalagarh, Arki, Chail, Rajgarh and Kandaghat. Famous as a tomato and mushroom growing region, Solan is often referred to as ‘City of Red God’ and sometimes as the ‘Mushroom City of India’. Languages spoken: Hindi, English and Punjabi are understood and spoken by those engaged in tourism and Pahari, the local dialect, is usually spoken by locals in their everyday dealings. Clothing essentials: Neither cold as Shimla nor hot as Kalka, temperatures seldom rise more than 32 degree Celsius in Solan. Cotton and linen clothes are recommended for the summer months, while light to heavy woollens are needed in the winter. By Air: Nearest airports are at Chandigarh and Shimla. Distance from these airports to Solan can be covered by road. By Rail: Solan can be conveniently reached by train through the narrow gauge rail track from Kalka. Nearest broad gauge railway station is at Kalka. By Road: Solan is well connected with other parts of country by roads. Luxury, deluxe and ordinary busses regularly ply between Solan – Delhi, Chandigarh and Shimla. For the conservative traveller, the city has many sightseeing and shopping options, while for the more avid adventurer, the area offers hidden pockets of nature where one can trek to, relax and enjoy nature of the lower Himalayan hills. Once a mere stop-over on the Shimla-Kalka highway, Barog has fashioned into a sought-after destinations. Nestled in the lap of pine forests on a mountain pass with a clear view of the snow clad Churdhar Peak, Barog is only 7 kms from Solan. There are several campsites and lodges here to accommodate vacationers. Given the places popularity, Himachal Tourism operates Hotel Pinewood here that has become a go to venue for corporate off site conferences. 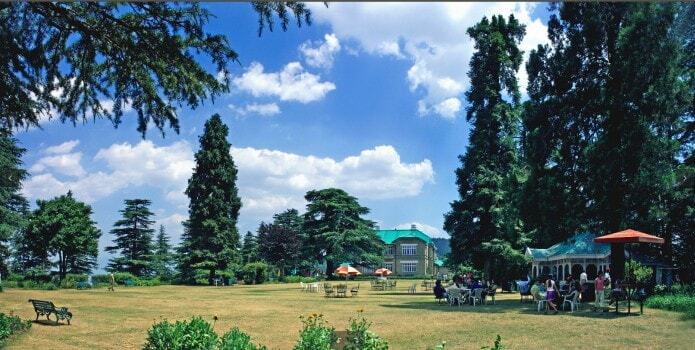 Chail, 45 km from Solan, was developed as summer retreat by the Maharaja of Patiala. It still retains the old charm of a laid back township and is ideal for those wanting to escape the monotony and restlessness of city life. With a commanding view of Shimla by night, Chail boasts of having one of the highest cricket grounds in the world. A walk through the Chail Wildlife Sanctuary or a trek to the secluded Kali Tibba capped by the pious Kali Devi temple, are some activities to indulge in. A road branching from Salogara on the Shimla-Kalka highway, 7 kms into to the Ashwini Khud valley, gets to Hart Village where the fine Mohan National Heritage Park has been developed. The theme park sets out to educate younger generations about Vedic sciences and Indian culture. The park has expansive gardens and some amazing idols of god and goddess cast from different metals which are a sight to behold. About 2 km from the Solan city center, the Shoolini Devi temple is located on the old court road. The temple is a highly revered one in the region. A visit during the three-day annual Shoolini fair, held in June, is a good time to witness the culture and shop for local merchandise. Easily one of the most interesting places in Solan, the Solan Brewery, now Mohan Meakin Brewery was started in 1855 by Edward Abraham Dyer. Earlier it was known as the Dyer Meakin Brewery and Colonel Dyer responsible for the infamous Jallianwala Bagh massacre was from the Dyer family that owned this brewery. Counted among the oldest breweries in India, the brewery is now a distillery that makes some of the finest single Malt whiskeys in the country. Old Monk – a Rum, Solan No 1 – a single malt whiskey and Golden Eagle – a beer, were some famous brand products of this brewery. Bon is a religion that predates the passage of Buddhism in Tibet. Perched on a hilltop, the fabulous Bon Monastery at Dolanji, 18 kms from Solan, is one of the few institutions of Bon religion that exist outside of Tibet. Founded by Abbott Lungtok Tenpai Nyima and built in 1969, the monastery is run by Yungdrung Bon Monastic Center. This institution is a grand spectacle, featuring well-manicured gardens with architecture and motifs drawn from Tibetan heritage. In fact it is recognized as an offshoot of Tibet’s Menri Monastery. Researchers and followers from far and wide do visit and live here with the resident Bon community. Many young men and women undergo religious training, which shares much of its principles with Tibetan Buddhism. Entry into the monastery is free for people of all religions. Solan offers several dining options for those wanting to explore and savour delicacies and cuisines of Himachal Pradesh. It has many popular restaurants and cafes offering a variety of dishes at reasonable price. The town is also famous for many seasonal fruits. Solan Channas (roasted black or brown chickpeas) are a speciality of the town. The city has well-equipped government run district allopathic hospital, an ayurvedic hospital and many private clinics offering good healthcare facilities. Midway on the Shimla-Kalka highway, Solan is well connected to all tourist destinations of the state. Private and public transport is easily available for Delhi, Chandigarh and other cities of north India. The heritage Kalka Shimla mountain rail track passes through Solan. From Kalka the track connects up with the broad gauged Kalka-Chandigarh-Ambala-Delhi rail line.Taxis in the city for all destinations are easily available. The town has a good mobile phone network and high-speed internet connectivity to meet the needs of any traveler moving in and around the area. Solan is a year around destination with mild summer temperatures that rarely rise above 32 degree Celsius and a relatively warm winter where temperature seldom drop below 5 degree Celsius. With a lot of greenery in spring and summer, it is a good time to be around. Exhibiting Solan’s spirit of cultural exuberance, the Shoolini Fair is celebrated on the third Sunday of June every year amid much fanfare with the main events held at Thodo ground. During the three day festival, the Shoolini Devi temple is extravagantly decorated and in addition to cultural programs, wrestling bouts, the unique archery game of Thoda and other sporting events are a highlight. Sair festival is celebrated in many parts of Himachal. Held every year in mid-September at Arki, near Solan, bullfights are a major attraction of this festival. The fighter bulls are especially reared and trained to fight during the festival days. In addition, Sair is also a shopping occasion where sale and purchase of clothes, utensils and other local produces do brisk business. Stalls serving local cuisine that are prepared specially for the fair draw large crowds on the festival days. 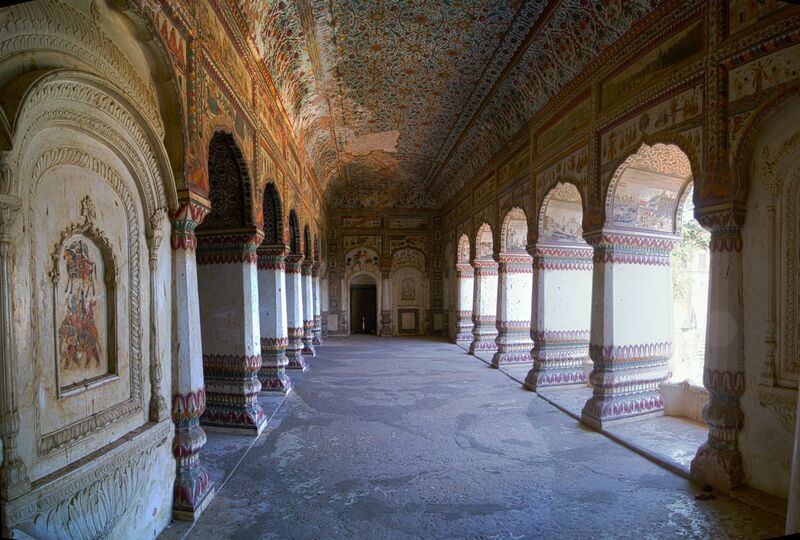 Tucked away on the quieter side of a valley town, the Arki fort also houses a palace. It was built by Rana Prithvi Singh in the years 1695-1700. Till 1650 Arki was the capital of Baghal, a princely state. An invading Gurkha army in 1806 captured the fort and turned it into a garrison. It was at the conclusion of Gurkha Wars in 1815-16 that this fort palace was liberated by the British forces. The palaces interiors are decorated with some very good paintings of the Kangra miniature style that depict incidents from mythology, religion, history and rural everyday life. Some of the older murals have lived the test of time and look as good as new on the walls and ceilings, turning them into fine galleries of an art form of an bygone age. Arki is 53 km from Solan and can be reached easily by road. The sanctuary around the hill station of Chail has a lot of wildlife. Animals and birds that can be sighted around include the Sambar, Goral, Barking Deer, and Cheer Pheasants. There is a Cheer pheasant breeding centre at Chail. The pheasants bred in captivity are then released back into the wild to replenish depleting populations of the threatened bird. Trekking from Chail to Gaura or Chail to Jhaja is recommended for travellers for better sightings of wildlife in the region. 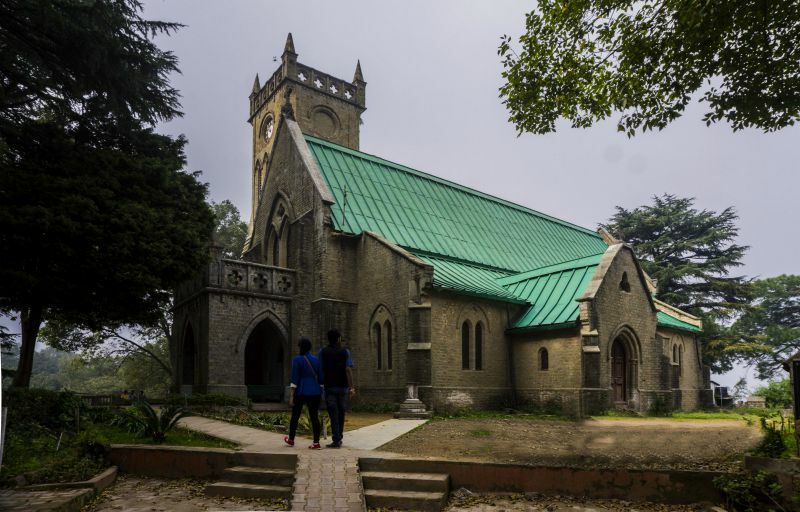 A road that bifurcates at Dharampur on the Shimla-Kalka highway leads to the quaint little town of Kasauli that seems to exist in a time warp of the 19th century. Its colonial ambience still retains cobbled paths, quaint shops, gabled houses with charming facades and scores of neat little gardens and orchards. Kasauli is surrounded by a mixed forest of pine, Himalayan oak and huge horse-chestnuts. Monkey Point, 4 km from the Kasauli bus stand, is a vantage point from where you can gaze the sprawling tricity of Chandigarh-Panchkula-Mohali to the south and Shimla in the north. Kasauli is 77 Km from Shimla and 35 Km from Kalka. From Solan, it is only 27 Kms and can be reached easily by road. Heaped with an undulating steep and rugged terrain, this wildlife enthusiast’s and backpacker’s paradise is along the Shimla-Bilaspur-Highway that can be reached by hiking from Kashlog, near Darlaghat. This sanctuary has a high population of Goral deer and a large population of the endangered Cheer pheasant. Though the sanctuary can be visited any time of the year, May to October is the best time for camping out in tents. At a short driving distance from Solan, near the Shimla airport at Jubbarhatti, is Kuthar Fort. The oldest sections of this fort date back to 800 years. Spread over a large area, the fort even has fresh-water springs flow within its confines. Other forts in the vicinity of Solan are Kunihar and the Gurkha fort of Subathu which can be easily reached from the city. Strategically placed at the Himalayan foothills, Nalagarh with the construction of a fort was founded in 1421 AD. Within the fort is a palace of the erstwhile royal family. Nalagarh was the capital of a princely state and saw some fierce fighting during the 1805-15 Gurkha occupation. Spread over considerable acreage, the fort and the palace of Nalagarh have a series of structures that are mostly built in the Mughal style of architecture. These have been exhaustively renovated and are now part of an excellent heritage resort.